The Wattpad Stars are masters of storytelling for online audiences and they’re eager to share their insights with new writers!Last year, we launched our first collaboration with Skillshare and a Wattpad Star. The talented Rebecca Sky crafted this class on writing for online engagement and the results were fantastic. Since then, we’ve produced two classes and have one more on the way. Check out Ninya Tippett’s class on finding your creative voice, here. If you’re hoping to get into character, Lindsey Summers has put together this helpful class on crafting an in-depth character study. If you’ve tackled these three courses and are still hungry for more tips, Ali Novak and Skillshare designed this class to teach you how to edit and complete a manuscript. 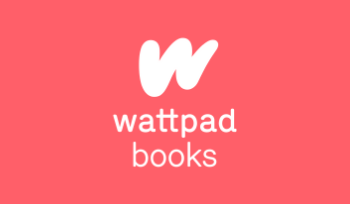 Wattpad connects writers with a total monthly audience of over 45 million people. We estimate that about 90% of that audience are readers. That provides a huge opportunity for writers of all levels who want to reach one of the most engaged audiences on the internet. If you’d like to find out how some of our best writers connect with that audience, check out any of the classes above. You can also find helpful tips on our writer’s page.